As an MSP, your business depends on happy clients; so what happens when important files are held hostage by ransomware? Your clients' productivity levels grind to a halt, and essential data that keeps a business running is perpetually blocked. Important: Anchor provides best-in-class ransomware protection and recovery features. However, it is still important that organizations establish internal policies for verifying the integrity of email communications. In the fight against ransomware, the first step is prevention. With other File Sync & Share tools, you rely on support teams and developers to hard-code against constantly evolving ransomware infections. You might wait for days for technical support and new product releases, as the threat advances and finds new victims. But as an eFolder Anchor partner, you—as the administrator—have complete control. Using the Excluded Extensions policy, you can prevent file extensions, like .locky or .wncry, from ever syncing to the cloud, helping you avoid widespread infection before it starts. Additionally, with our unlimited data retention plans, files and file versions are never fully purged from the system. With these retention plans in place, you can sync, or even create backups, of important files, laying the foundation for an easy recovery in the event of a disaster. Next, you need to identify threats as soon as they occur. With other File Sync & Share tools, you could spend days searching for infected files, wasting valuable time and stifling productivity across the entire workforce. With Anchor, however, you have access to the Activity Log, where you can quickly pinpoint the exact day and time a file was infected. Armed with the knowledge of who and what has been compromised, you can act immediately, using the Pause Sync feature to temporarily stop the synchronization process on the local machines; or you can engage the Remote Wipe feature to completely unlink the device from the cloud. With these unique tools, you stop the infection before it spreads. Finally, if the worst happens, and a client faces a widespread ransomware infection, you need complete recovery. 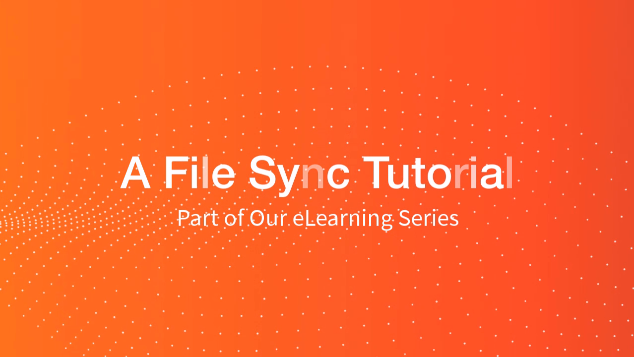 Other File Sync & Share tools rely on a file’s version history, and a combination of features like Restore Deleted or Revision Rollback, for a partial recovery. Sadly, modern ransomware has evolved to a far more sophisticated state, rendering a file’s version history useless, and preventing a complete recovery of infected content. 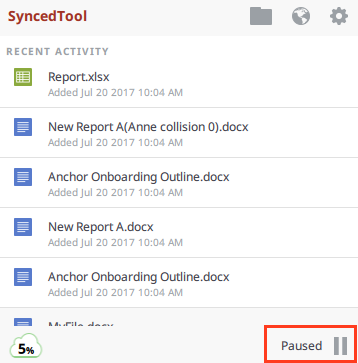 With Anchor, you have access to the Snapshot tool, which gives you the option to copy data as it existed at a specific point in time, including content that was deleted, recreated, or changed. The Snapshot feature even recovers the version history of restored content, so that your clients can get back to work quickly, with little or no downtime.